As the snows and frosts of Winter fade to a distant memory it becomes time to dust down the old willow bat, rub in the linseed oil, whiten the pads, don the white flannels and peaked cap and stride out to face the bowling. Hah! as if! 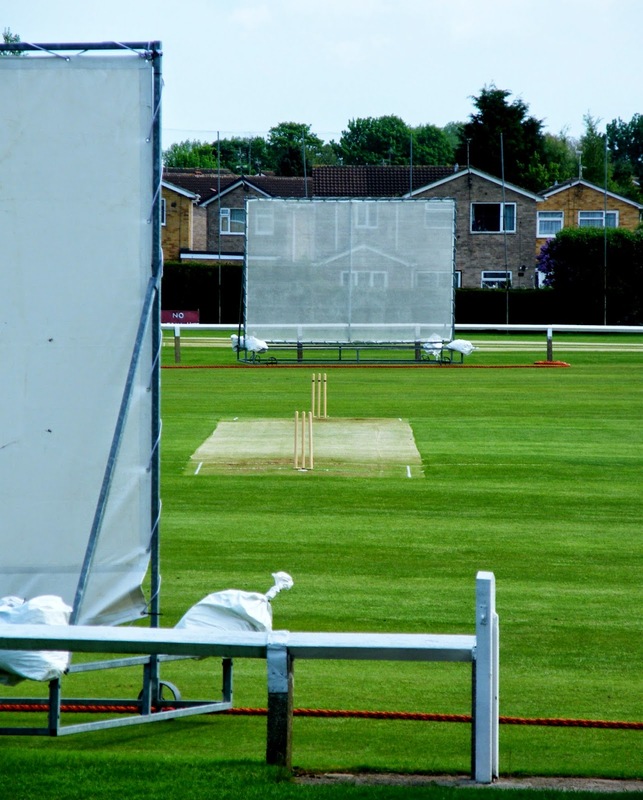 Even so many do play up and play the game, there are many local cricket leagues which are fiercely competitive especially in Yorkshire which likes to think itself home to the best (it’s God’s own county don’t you know?). Here’s Driffield’s neat little ground where the groundsman had just finished preparing for a match, it’s great ritual of cutting and rolling the pitch till it’s just right, painting the creases and so on. I hope they managed to finish before the evening thunder storm rolled in and rain stopped play.